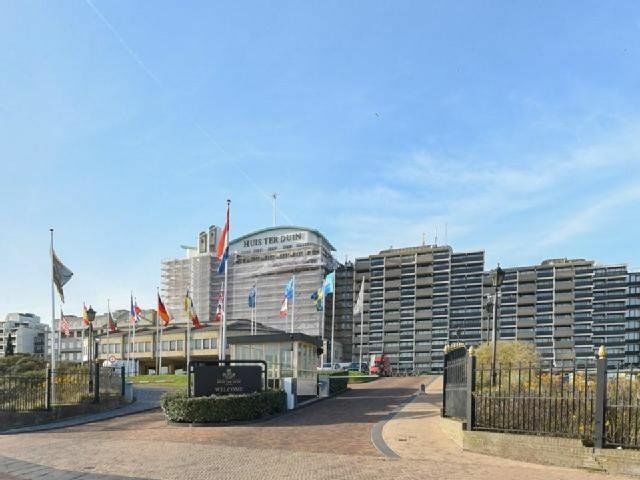 A charming fully furnished 1 bedroom apartment on the 4th floor of the luxurious Huis ter Duin complex "Duinroos" with large balcony and stunning views of the beach and sea. 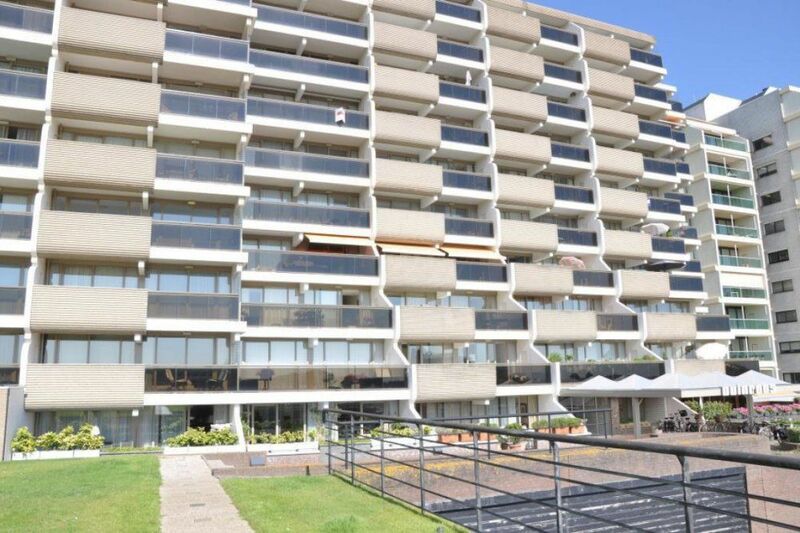 The beach, the promenade and the shops are within walking distance. Shared entrance with mailboxes and video intercom system. With elevator or stairs to the fourth floor. Entrance apartment. From the hall access to the living and dining room with access to the balcony with sea views. Open kitchen with fridge / freezer, dishwasher, microwave, oven and electric hob. Laundry room with washing machine and dryer. Next to the living room is the master bedroom with double bed, wardrobe and also have access to the balcony. The bathroom has a toilet, sink and bath with shower. 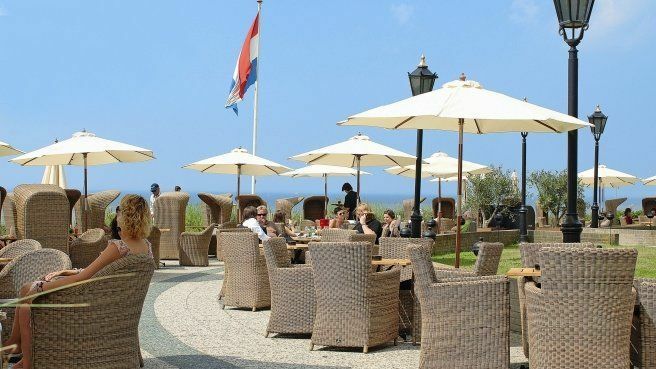 The apartment is located next to Hotel Huis ter Duin. 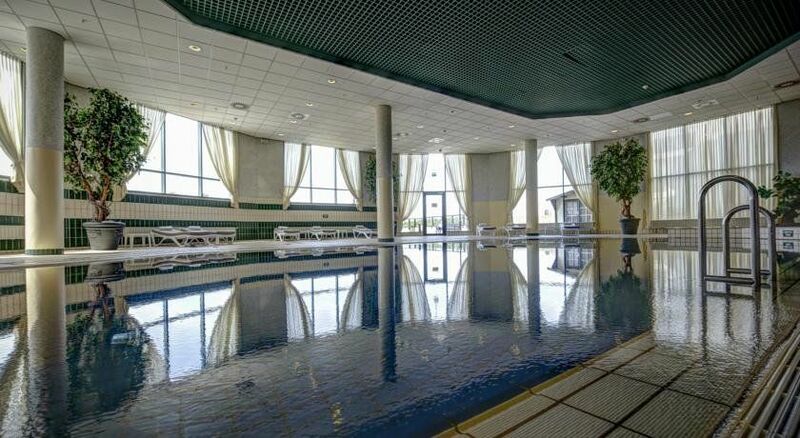 As a tenant you can use the facilities (for example the pool) of the hotel with discount. - cleaning possible for € 60,- per month (every 2 weeks).